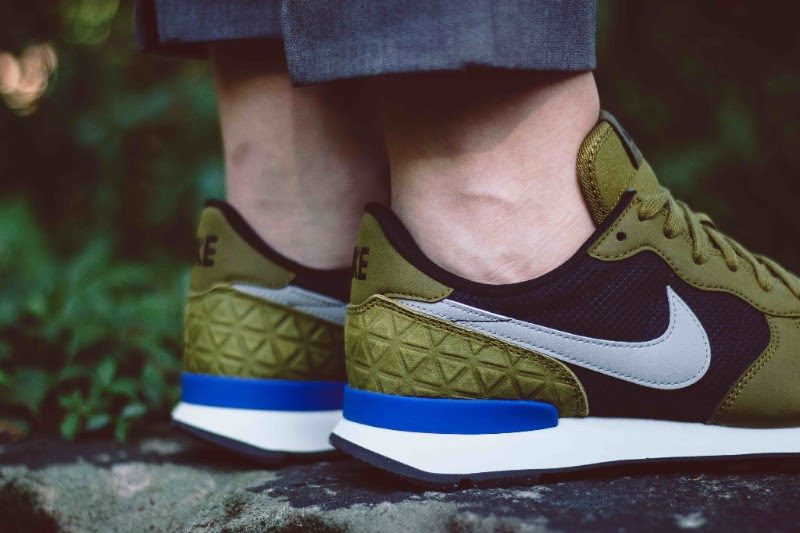 Nike Internationalist Premium "Olive Flak"
Following up the Air Force 1 Mid Leather/Wool, another great pair of Nike kicks for the ladies has surfaced. 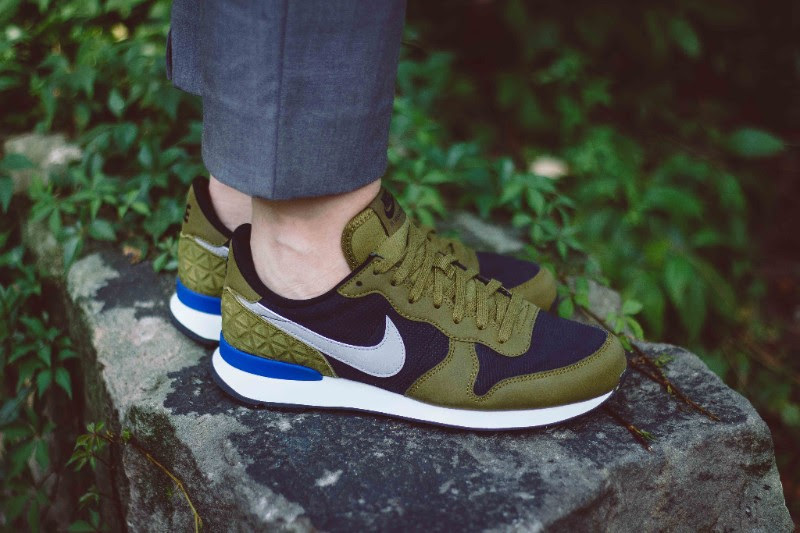 Combining textiles and leather on the upper, the Nike Internationalist is dressed in olive and blue throughout, rounded out by a grey Swoosh and blue heel tab. The composition of premium materials will ensure comfort and satisfaction on foot for anyone. 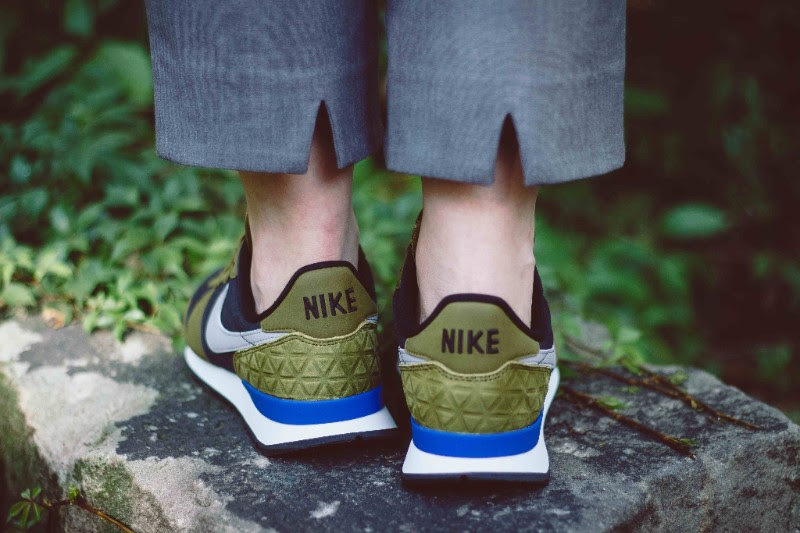 While the size run is catered towards women, this release is another prime example of something you can find both men and women rocking, and if you are looking to be one of those men or women, you can purchase a pair now at select retailers such as Stickabush. What are your thoughts on ‘women’s’ shoes being worn by men or vice versa? Share them with us @ModernNotoriety and give us a follow to stay up to date on the latest sneaker news.